As far as dinosaur names go Gigantoraptor sounds pretty scary. They need a scary name, because they probably looked quite ridiculous. The Gigantoraptor grew to up to 8 m long and probably weighed well over 1000 kg. its lower jaw lacked teeth but appears to be modified into something resembling a beak. 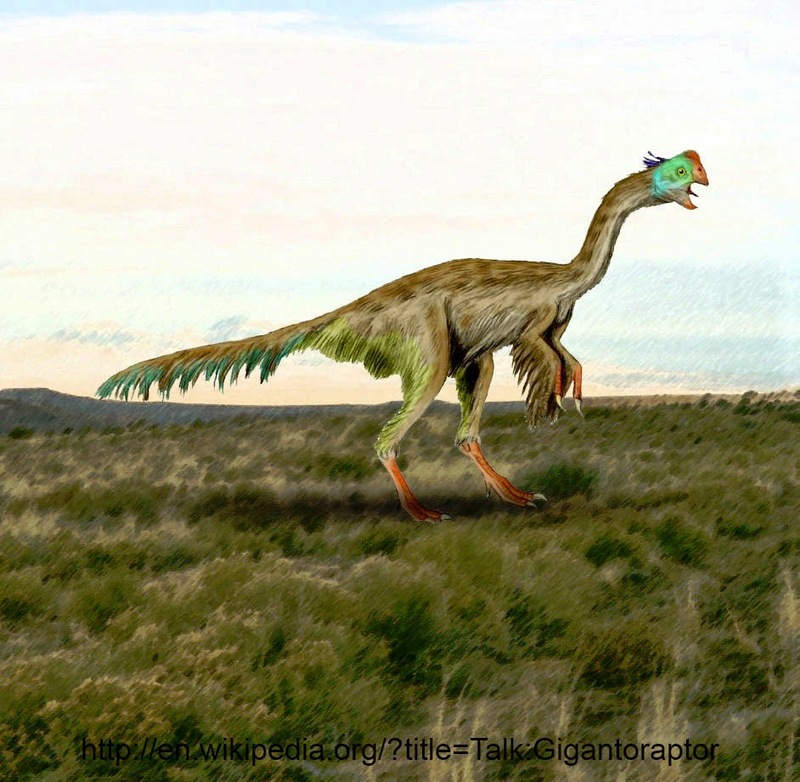 Feathers were actually quite common in Therapod dinosaurs. There is a good chance the Velociraptors had feathers, and the T. rex may have also been feathered. 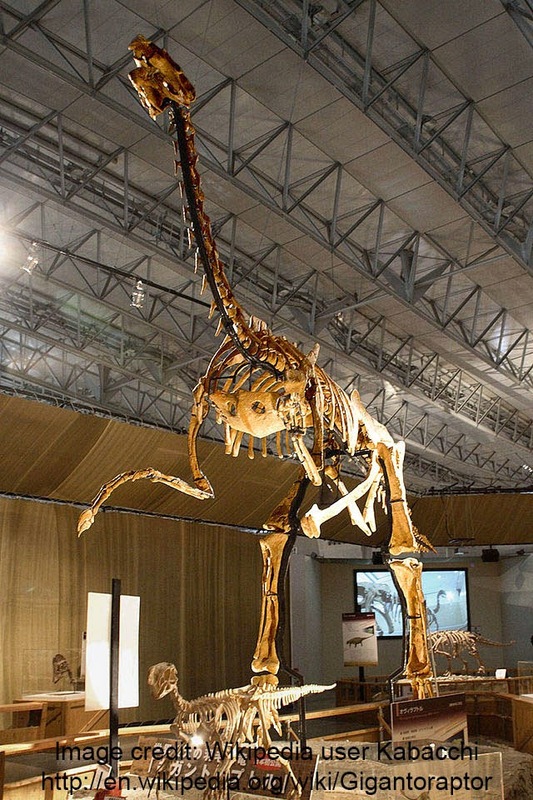 Specimens of the Gigantoraptor have been found in inner Mongolia and are around 70 million years old.